We’re sharing a few #milestones from our PumpUp family today. From marathons to 5k races and from planks to bench presses, this post celebrates personal bests and firsts in addition to stories about injury recovery and rehabilitation. PumpUp member gavynhill7, a track and field athlete at Wichita State University, tore her ACL and meniscus and had surgery performed on her leg in August. As of September 2nd, she was able to get back to doing upper-body lifting and core work! She can now walk without crutches and has been recovering steadily and surely with rehabilitation. Keep it up! 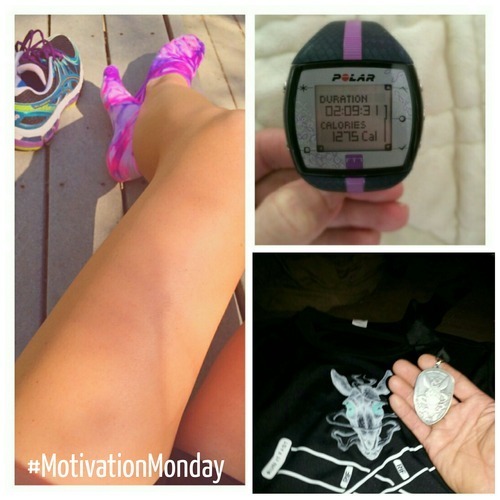 Amanda_fitmomof3’s biggest milestone was finishing her first half marathon in May, exceeding her own expectations. "I finished in 2 hours and 10 minutes, beating my own expected time by far. I had been training for a 10 km race until 2 days before the race," she elaborates. "I thought I could do more, so I switched to the half marathon." What is extraordinary is that Amanda had never incorporated running as a form of exercise before in her whole life until last fall! Isn’t she amazing? Travis619’s milestone was completing the Spartan Beast race—even though he injured his ankle 2 miles into the 13.5 mile race! 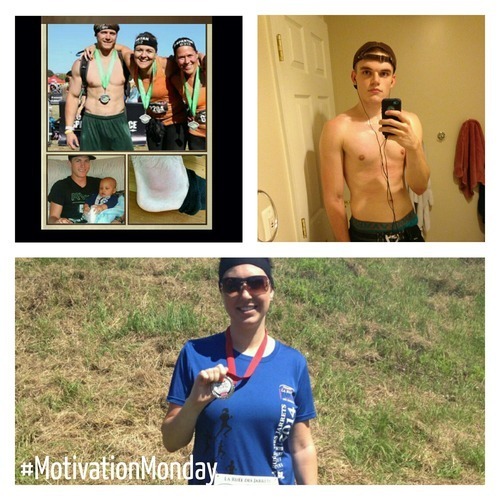 He explains, “I grew up small and skinny, but changing my diet and working out helped me achieve my goal of competing in a fitness race.” Travis continues to be motivated by the PumpUp community, saying that "Everyone in the PumpUp family inspires me daily to better myself and continue competing. I hope I can do the same for at least one person." Two of our members are thrilled with being able to run their first-ever 5 km races. Marie (marrymee) got her training off to a rocky start, explaining that "I’ve never been that interested in sports and working out. A few years ago, I was not feeling well. I didn’t like my job and it made me sick." Upon integrating more activity into her daily routine, things changed drastically. “I started taking walks and I was feeling better. 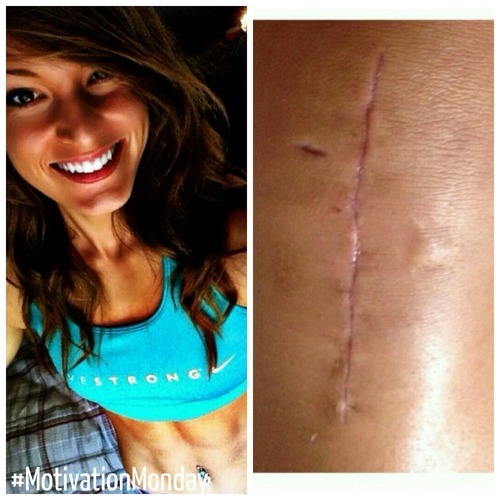 Running [then] made me feel stronger, more confident. This year, I’ve decided to run a 5k for the first time!” Corey B. (coreybendebba) also ran his first ever 5k, where he finished 24th out of 120 people. "In that moment, I proved to myself that I am strong and that I CAN do anything I put my mind to!," he affirms. "Don’t ever stop chasing your dreams. You’ll reach them one way or another." Other Monday milestones were slightly more specific. PumpUp’s bigsalfitness shared this photo of his first attempt at bench pressing 315 lbs. His next goal? Bench pressing 405 lbs of course! We are also proud of our member jgnabc, who achieved her goal of mastering the 5 minute plank. "After having four kids, I never thought I’d have the flat toned belly I was looking for," she explains. "After joining PumpUp and learning to set s.m.a.r.t. goals, I not only was able to accomplish my 5 minute plank, but I was also able to achieve a level of fitness I only dreamed of."